In 2009, the University of Minnesota Golden Gophers left the Hubert H. Humphrey Metrodome for a new on-campus home. Over three years later, that home is getting an expanded and upgraded control room, integrated by Alpha Video Sports and Entertainment Group. Looking to enhance the in-venue experience for its football, basketball, and hockey fans, the university issued three requests for proposal prior to the 2012 season: one for new video boards in Mariucci Arena (men's hockey) and Williams Arena (men's and women's basketball), a second for new sound systems in both arenas, and a third for an HD control room that could handle in-game HD video for all three venues. Although the university installed a Daktronics HD-X LED video display during TCF Bank Stadium's construction in 2008, the control room supporting the board was SD. Thanks to the HD upgrade, the university is now able to utilize the 48- by 108-ft. video board's full potential. 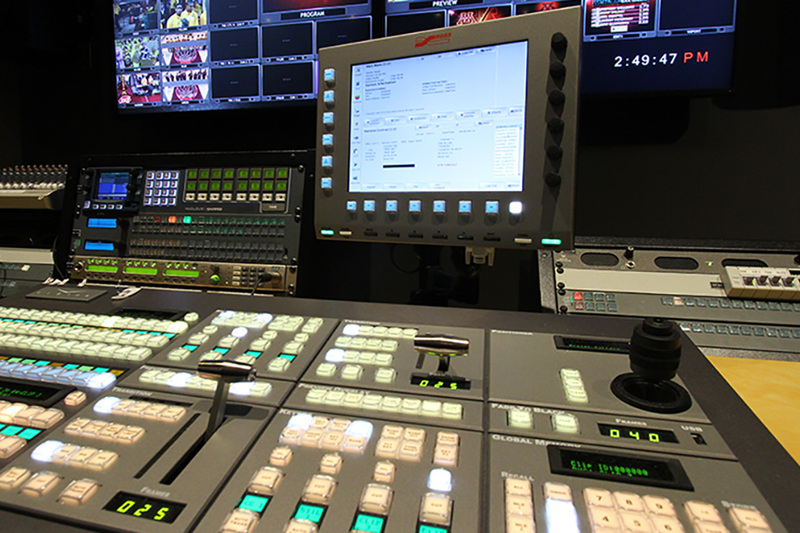 Because the control room would be supporting multiple venues, Alpha Video needed to ensure that it could support multiple events simultaneously. 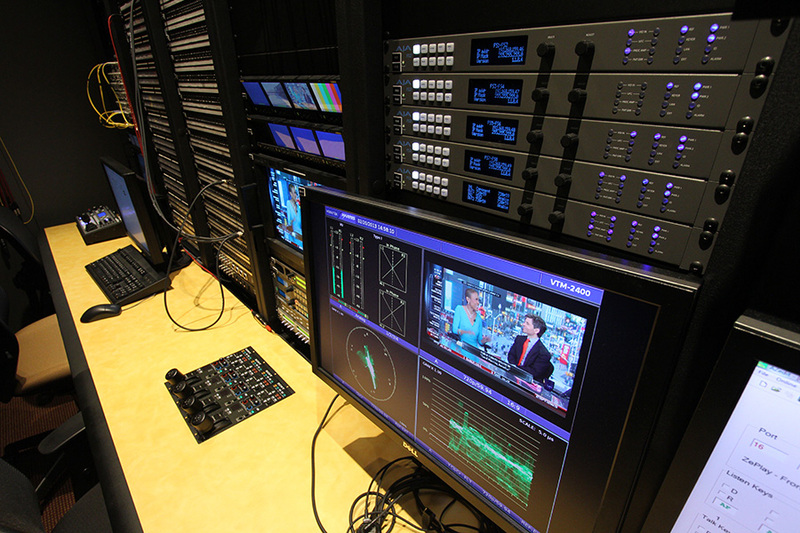 The company installed two Ross Video Vision switchers, a Harris router with integrated multi-image viewers, Click Effects CrossFires for clips playback, Ross Video BlackStorm video-playout server, Chyron LEX character generator, and two Tightrope Zeplay systems capable of eight channels of replay. Alpha Video also added a complement of Sony HD cameras supported by Telecast Fiber Systems, Sony transport equipment, and Sony recording and playback devices to support legacy footage. 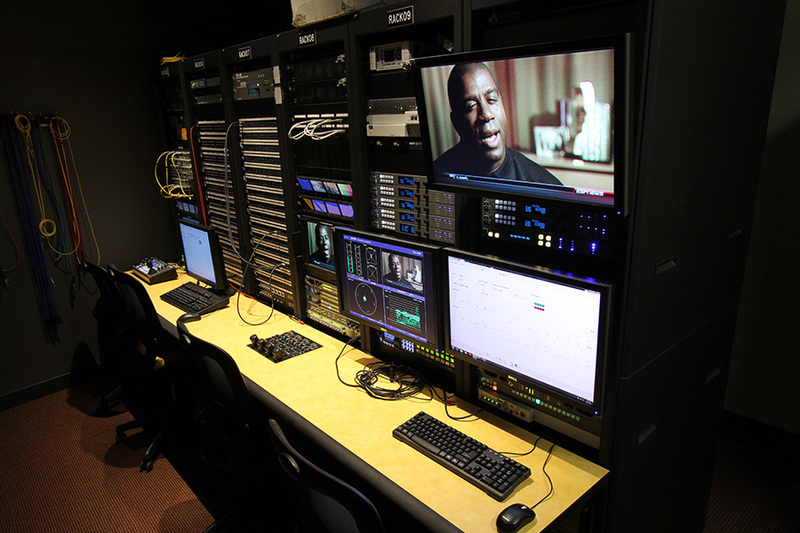 The university's editing capabilities were expanded with the addition of several Apple Final Cut Pro workstations, Square Box Systems' CatDV asset-management system, and StorageDNA archival system. They were archiving all of their footage on these little FireWire drives. They realized that wasn't the most effective method. The CatDV asset management system ties in with the StorageDNA archival system and will give them a much better workflow in terms of being able to browse footage, search footage, put packages together, and really enhance what they're able to do from a creative standpoint. - Jeffrey Volk, Director, Alpha Video Sports & Entertainment. 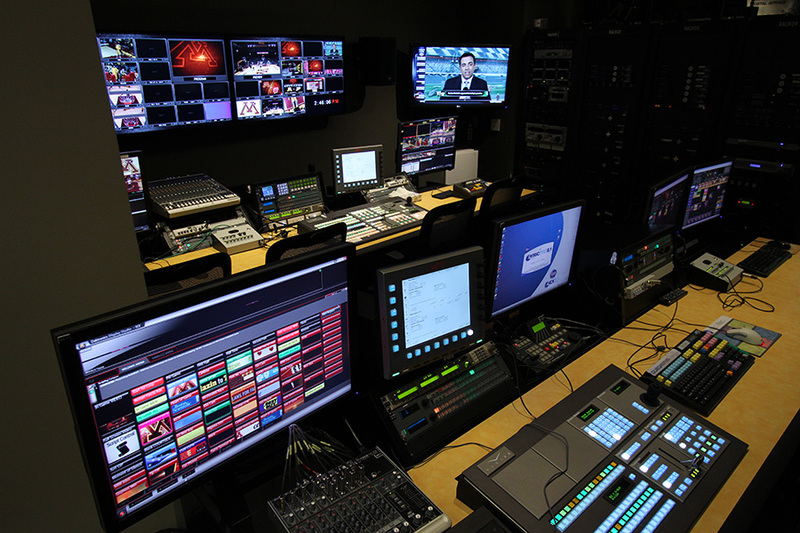 The control room, located on the press level of TCF Bank Stadium, is connected to Mariucci Arena and Williams Arena via a new fiber-optic network. The stadium had existing fiber connecting the central camera locations to a central control room, and the limited amount that extended to Williams Arena was intended for television-broadcast needs. Mariucci Arena had no fiber connectivity. 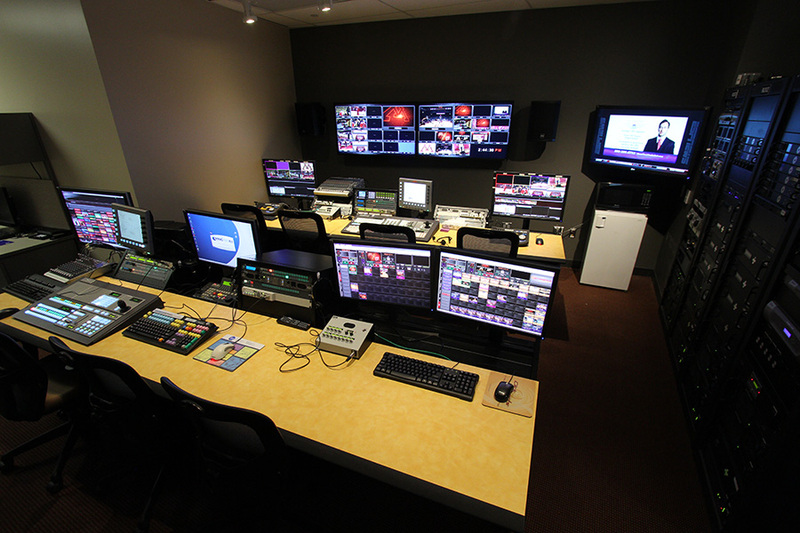 The new HD control room makes a substantial amount of difference for what they're able to do at their football venue. By changing the video boards and sound systems at their other two facilities and by upgrading the control room to feed all three of the facilities, they're really enhancing the in-venue experience for the fans. Working with Alpha Video has been exceptional. Alpha has been there every step of the way. It has been an outstanding partnership with Alpha Video on this historic installation. At every point of the project, the Twins have felt like Alpha has taken great ownership in this highly visible piece of Target Field. Alpha Video was selected based on the company's highly competitive bid, extensive experience with collegiate arenas including those at the University of Nebraska and the University of Kansas and strong knowledge of arena technology and integration of their product. UT Arlington's Vice President for Administration and Campus Operations. Alpha Video Sports & Entertainment is a division of Alpha Video & Audio, Inc. The division was started in 2009 as a way to specialize in the video and audio technology needs for the sports arena and athletic facility market. We know that we serve a small community of industry professionals that have a passion for what they do and we share in their dedication and commitment. Copyright © 2016 Alpha Video & Audio, Inc.